We have separate categories for Chinese, Japanese and Indian restaurants, so Asian covers all the rest. But Asian takes in a lot of territory : Mongolian, Thai, Vietnamese, Korean and Malaysian. This is a fascinating, wild, varied and lively cuisine. You have to be careful with these menus. When they mark an item with a star or asterisk for extra hot or spicy, they're serious. If you're not experienced with their cooking, you should err on the side of caution. They have their share of exotic foods : tongue, squid, tripe, iced black coffee with chilled milk, avocado shakes, lemon grass, peanut sauces, fried wonton skin, bamboo shoots, hot basil, and a generous use of curry and ginger. Some of these restaurants have a very traditional look, with lots of space and an extensive menu. Some are tiny, in remodeled fast food outlets, with only a dozen tables and a one page menu. But they're all worth a visit, and several have generated their own passionate following, who frequent them for lunches or weekend dinners. Asian restaurants are not nearly as expensive as some of their rivals in other cuisines. One of their distinguishing characteristics is the main course plus an array of side dishes, usually six but sometimes seven or five, depending on nationality. At the bigger and better Asian restaurants, artistic presentation will be very important, but the smaller establishments don't have the table space for it. However, color and arrangement are always considered. Asian food is probably the world's most photogenic. Asian Wind opened in 1995 so is second to Planet Thai in longevity among Asian eateries. It is basically a Chinese restaurant with Thai, Vietnam and Malaysian dishes added. 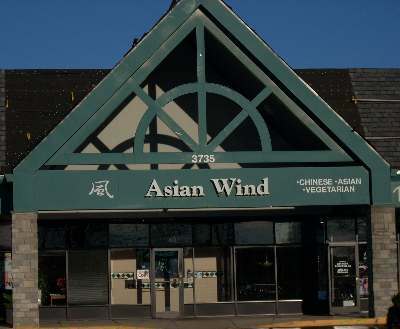 Asian Wind is a favorite among local vegetarians, who consider its menu the second best in town, behind only Alfalfa's. But one of its most famous ingredients is George's Hot Pepper Sauce, which is used mostly on meats. Another Asian Wind characteristic which has endeared it to local food purists is its refusal to use Monosodium Glutamate, which clogs so much Chinese cooking along with American arteries. Of the Chinese stops in Lexington, Asian Wind is the low cholesterol, low sodium alternative. House specialties include stir fried duck, sesame chicken, and por lo mein. 3735 Palomar Centre Drive. 223-0060. At the corner of Harrodsburg Road and Man O War Boulevard. As you drive out Harrodsburg Road from downtown, watch for Wellington Way coming in from your left. Turn right on Wellington Way and it will take you into Palomar Centre. Bangkok House is the only Thai restaurant within walking distance of UK. It's downstairs at the corner of Euclid and Rose. 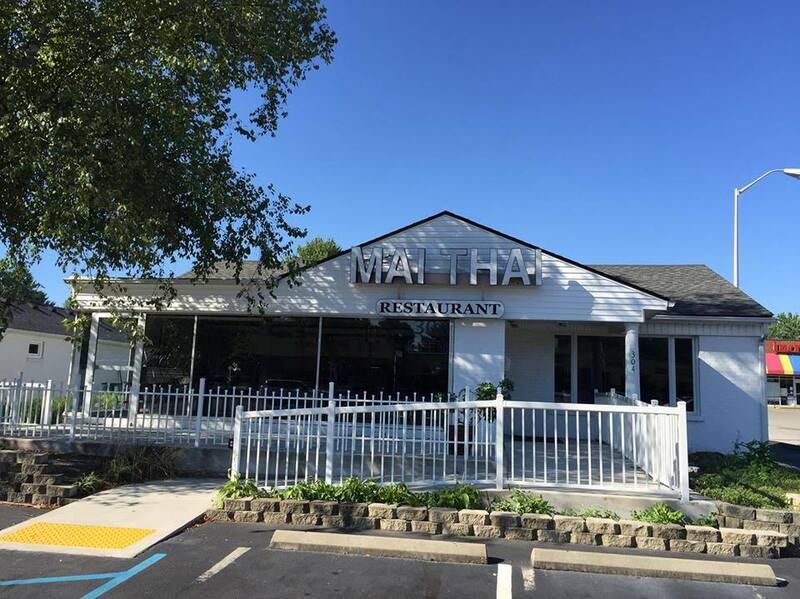 The decor is basic and service can be spotty, but this is very good Thai food. If you're not a Thai conneisseur, be forewarned that when the waiter asks for your preference, state Mild. That said, of the Appetizers, we highly recommend the Egg, Vegetarian and Spring Rolls, the Pot Stickers, and the Fried Squid. We're not big fans of their Salads, but we do love their Soups, especially the Tom Yum (Lemon Grass). The Pad Thai here has its own cult following. The Entrees give you a choice of Chicken, Pork, Beef, Tofu, Shrimp, Squid, Duck or Fish. To that you then add Noodles, Curries, Rice, Basil, Cashews, Chili, Peppers, Onions, Garlic, Ginger, Bean Sprouts, Eggplant or Pineapple. Within this, there are seven Noodle choices, 10 Curry choices and six Rice choices. If you're a beer drinker, Bangkok House offers the usual, plus Thai favorite pale lagers Singha, Kirin and Chang. Han Woo Ri is UK's Korean restaurant. It's tiny, occupying half of the first floor of the Sqecial Media Building between McDonalds and Jimmy Johns on South Limestone. But the decor is sleek, modern and well lighted, and the food is authentic and very good. They offer some incredible Appetizers. 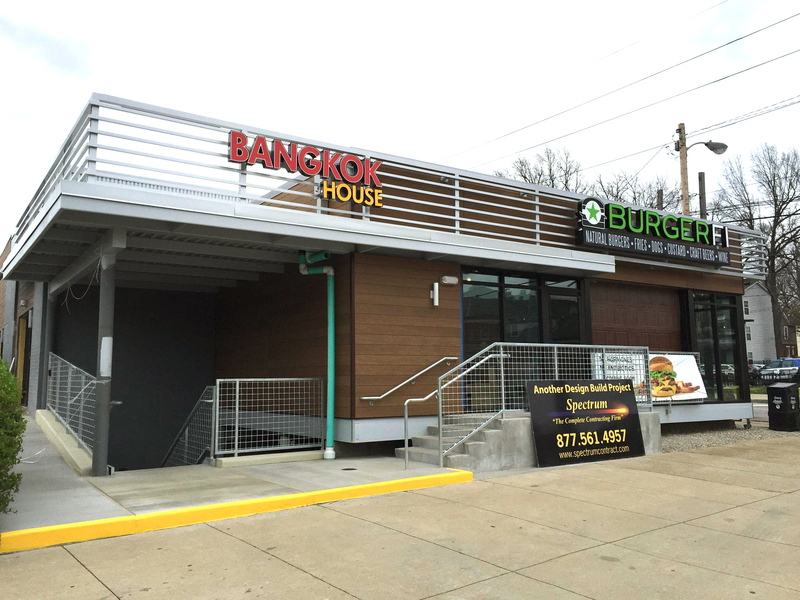 Their Jalapeno Bomb (fried jalapenos stuffed with crabmeat, cream cheese and special sauces) and Seaweed Salad are two of Lexington's greatest items. They offer a whole page of Rolls : the California, Spicy Tuna, Veggie, Cucumber, and Avocado, and then special versions like the Shrimp Tempura Roll, 007, Mexican, Dragon, Giant Crunch and Crazy Boy. Among the Entrees, we particularly like their Mandoo (steamed dumplings stuffed with vegetables, pork and kimchi), Bulgogi (thin slices of beef marinated with soy sauce, sesame oil and spices), Pajun (pancake stuffed with seafood, garlic and green onions), and Hae Mool Udong (hot soup with noodles, chicken, shrimp, scallops, squid and vegetables). The Hae Mool Udong is a feast in itself. They give you a large bowl and it's very filling. The Bulgogi is Korean BBQ and is delicious. The Dol Sot Bibimbap is a hot stone bowl filled with vegetables, rice, meat and an egg. 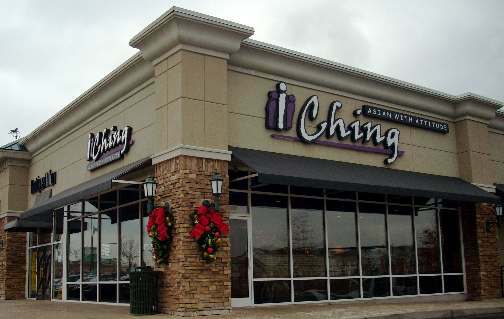 I. Ching bills itself as "Asian With Attitude." We'd rather describe it as Upscale Asian Fast Food. The menu is a mixture of Japanese, Mongolian and Manchurian. You study the offerings, place your order, pick it up at the counter and find a table or booth. The atmosphere includes lots of glass, wood and polished metal. The menu offers several wraps, salads, and noodle entrees. You can get chicken, lean beef, shrimp or veggie meals. Probably the best item on the menu is the Salmon, but the Calamari is also tempting. Appetizers include egg rolls and pot stickers. Beverages are limited to iced tea, lemonade, or bottled water. Hamburg Place. From downtown, follow Vine Street out to its end, cross East Main and continue on Winchester Road. Follow Winchester Road all the way out a mile past New Circle Road. Turn right onto Sir Barton Way, and stay on that until you see Johnny Carino's and Mongolian Grille on your right. Turn left, then left again, drive through the interior plaza, and find I Ching to your left at the far end. 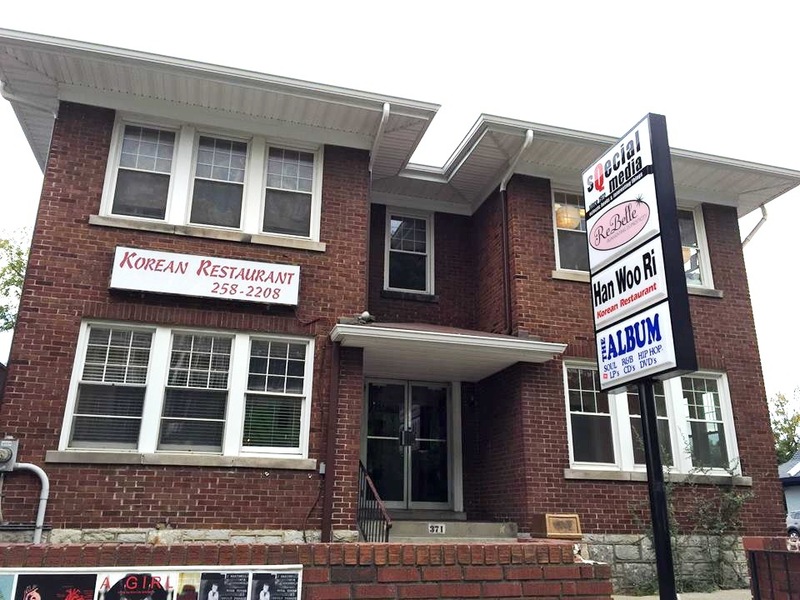 Koreana is run by two of the most experienced restauranteurs in Lexington. Husband Dae has been a chef in both Korea and New York City, while wife Yong has worked the business side at several restaurants, including 14 years at Nagasaki Inn. Koreana emphasizes freshness. All its ingredients are fresh daily : meats and vegetables from local outlets and Korean items from New York. 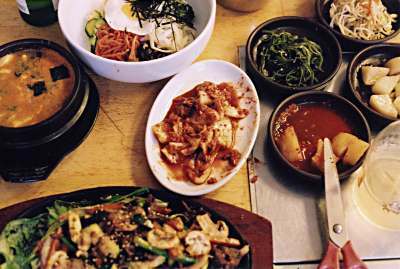 Korean cuisine differs from its Asian neighbors in that each main dinner item comes with six sides, usually served in separate small bowls. The star of the show is Kimchi, a spicy, pickled vegetable mix. 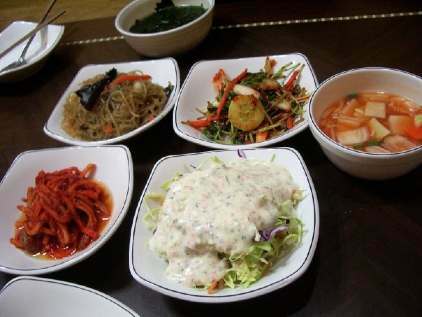 But there will also be a radish salad, bean sprout salad, and three others according to what's available and what you choose from the menu. The seafood soup is a meal in itself, with everything from octopus to sea urchin. The Lees have Americanized their cooking so it is not terribly spicy, but certain items are marked, and if you want heat, you can get it. 2360 Woodhill Drive. 268-8781. From downtown, go out Richmond Road, turn North onto New Circle Road, stay in the right hand lane, take the very first right turn, and turn right again into Woodhill Plaza. 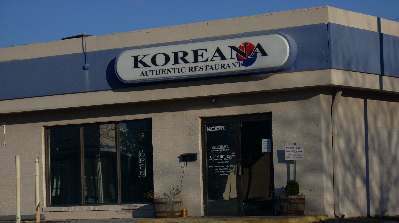 Koreana is on the left "L" of the plaza. 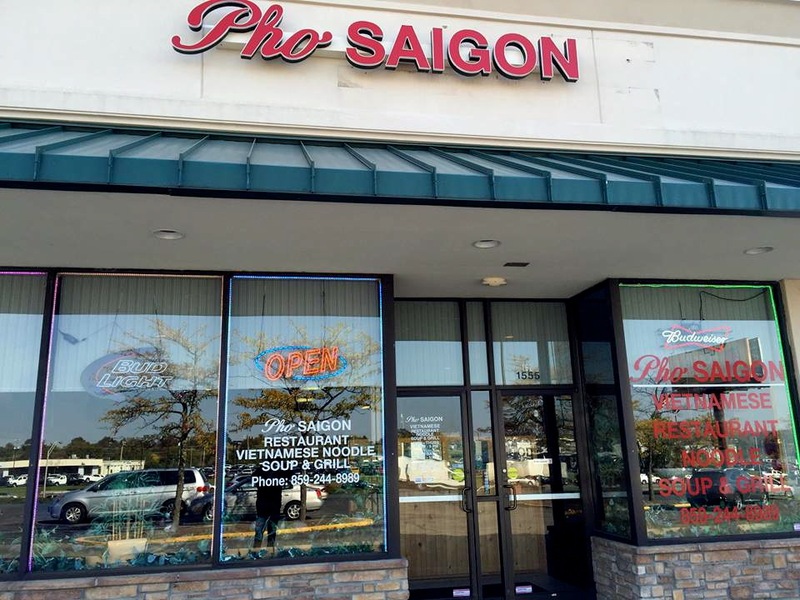 Pho Saigon is basically a Vietnamese soup restaurant, and is absolutely a must stop if you like Asian food. It's in the shopping strip facing New Circle Road, across from the Chrysler dealership. The interior is spacious, unlike most strip mall outlets. The Appetizer list takes up a whole page, It includes various rolls (Egg, Veggie, Spring, Chicken, Pork), Seaweed Salad, a Vietnamese Pancake, Kebabs and Wings. All the Soups come with a side tray of Bean Sprouts, Lime, jalapeno, Green Onion, Basil and Cilantro. The actual Soup list takes up two whole pages. All versions are Noodle soups but there are different kinds of noodles. There's noodle soup with Chcken, with Beef, with Steak, with Shrimp, with Tofu, with Seafood, with Vegetables, etc. A list of Beef Stews, a list of Hot Pots (Chicken Hot Pot, Beef Hot Pot, Seafood Hot Put, etc.) , and a list of Charbroiled entrees rounds out the evening's entertainment. 12 versions of Vietnamese Bun, which consists of Vermiculli rice noodles (Rice Vermicelli With charbroiled pork) take up all of a menu page. Beverages include soybean milk, cocconut milk, imported beer (Saigon '33), smoothies and bubble milk tea. Save room for the Three Color, the famous dessert which includes Bean Pudding, Green Jelly and Coconut Milk. 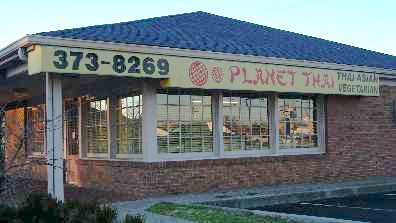 Planet Thai opened in 1985. That's not so long ago, but it's the grandaddy of local Asian restaurants. 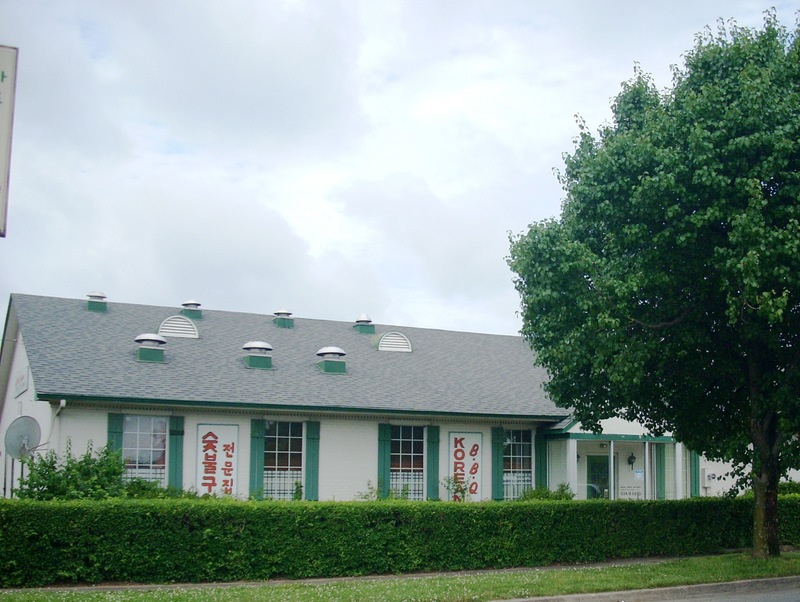 The facility, on the corner of Nicholasville Road and Dennis Drive, consists of one large dining room with a saltwater aquarium in the middle. Its menu would take a year to sample thoroughly. 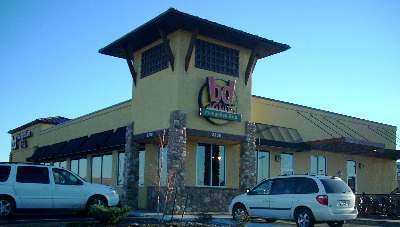 It offers 90 dinner items plus 11 appetizers, a beverage list and desserts. With each entree you have a choice of meats, side dishes, and degree of heat. The menu opens with a dozen Appetizers, goes on to Soups and Salads, and is then divided into Curried Dishes, Noodles, Rices, General Entrees and House Specialties. If you're a big seafood lover, you'll be in Heaven, with all the Squid, Shrimp, Mussells and Scallops worked into the appetizers, soups, and main items. But there are many vegetarian dishes. 2417 Nicholasville Road. 373-8269. 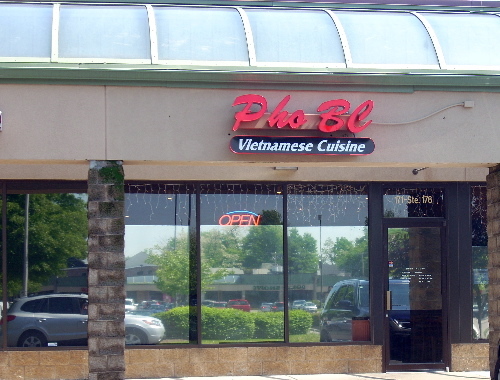 Planet Thai is a quarter of a mile inside New Circle Road, or a mile downtown from Fayette Mall.